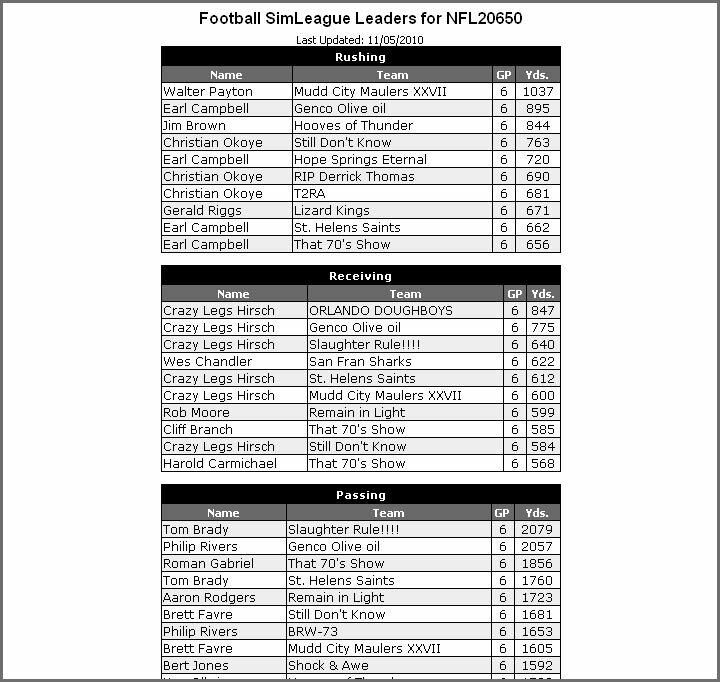 SimLeague Football™ is an online football simulation game that puts you in the dual role of GM and head coach. Build a team of stars from throughout NFL history. Want to spend your money on the running game? How about a backfield of Payton and Sanders? Like to air it out? How about Brady with Moss and Rice at wide receiver? You can do it all! Set depth charts, game plans, offensive and defensive settings, deal with player fatigue and more. A 16-game season follows a 4-game preseason. Many decisions lie ahead, and you get to make them all! 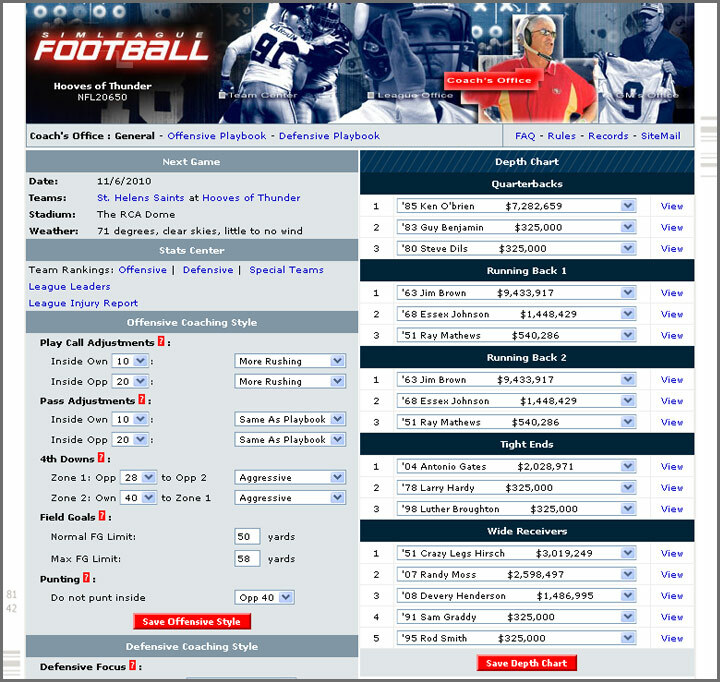 Where will you finish in our fantasy football simulation? Select 20 players from any season going back to 1941 while staying under your salary cap. You'll also need an offensive line, defensive line and a special teams. Players perform based on their actual stats and can endure fatigue during the season. Set your depth chart for each offensive position, pick the offensive sets and defensive focus for each down and distance, manage through injuries, and much more! 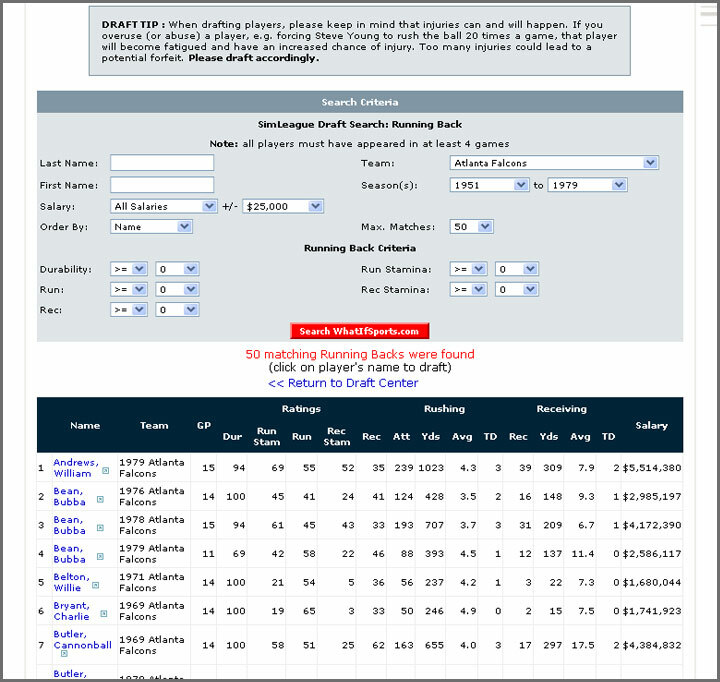 Use the waiver wire to improve your club. Each league is 24 teams with 6 divisions. 3 rounds of playoffs follow the regular season. Open Leagues use the default rules whereas Theme Leagues use unique rules created by our users. 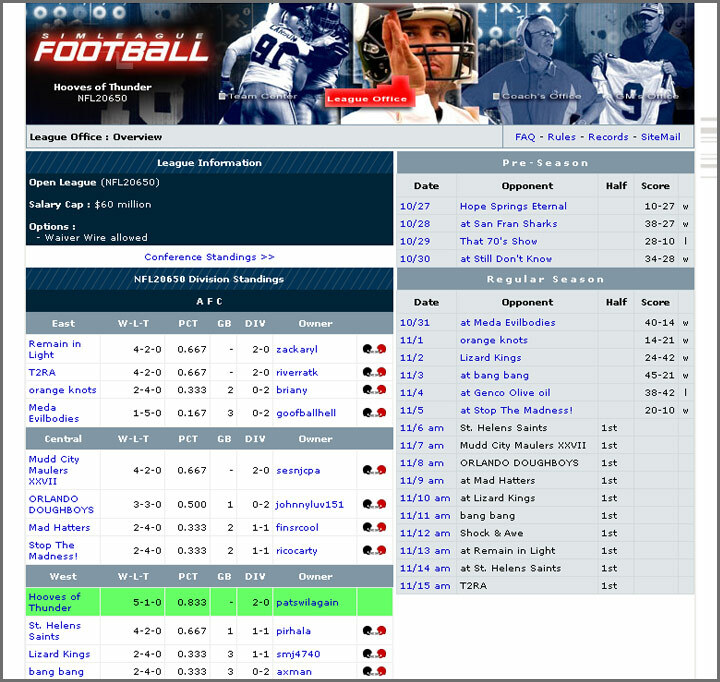 View the current list of theme leagues. The 4-game exhibition and 16-game regular season is played one day at a time. The first half is simulated overnight & the remainder of the game in the afternoon. 3 playoff rounds follow. 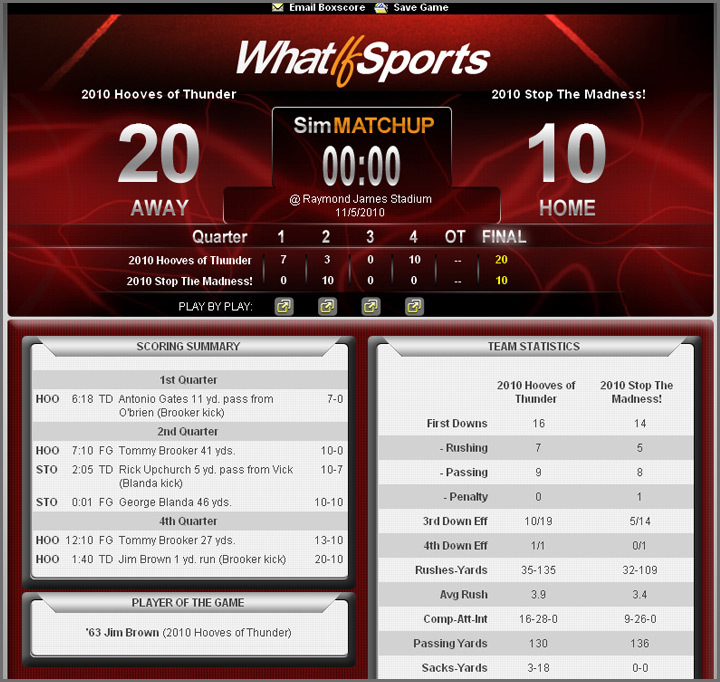 A boxscore with detailed play-by-play and stats is generated for each game. Win the league championship and earn Reward Points that can be used in our Reward Center. Reach the playoffs and earn credits toward future seasons of SLF. & connect with other pigskin fans. Try a 10-game trial season for free. Draft and play, it's that easy. 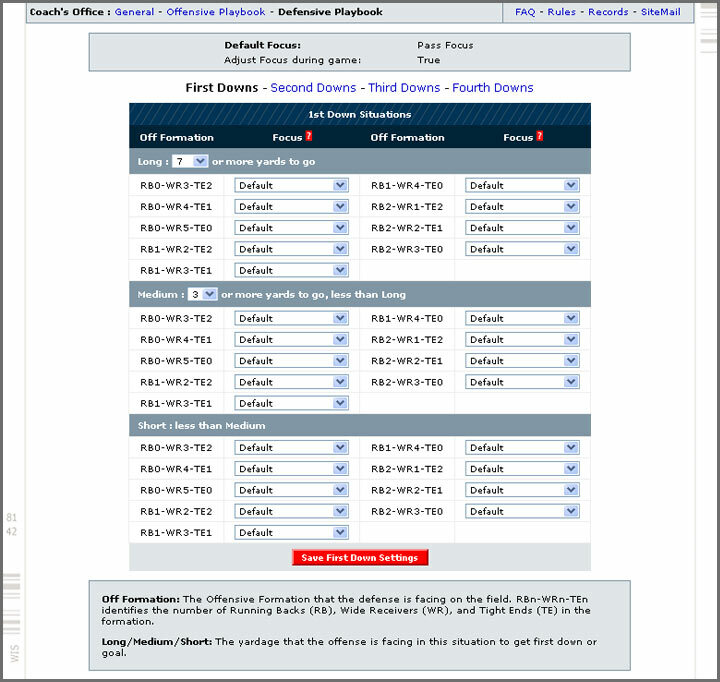 Create or re-play any fantasy matchup from sports history. 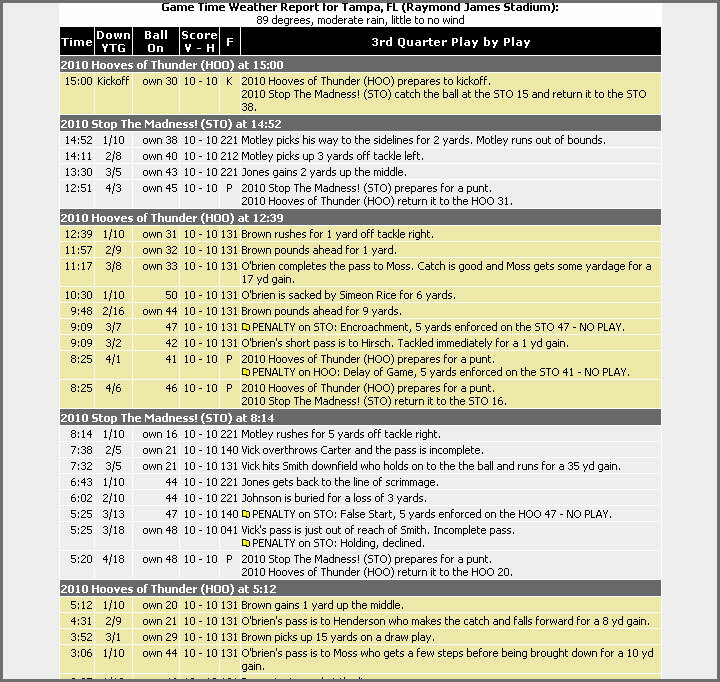 One click yields a free box score and play-by-play. Coach, recruit, and run your own college football program. Compete in a full season with your dream team from MLB past and present. Lineups, player settings, trades, prizes, and more. Build a dream team of favorites from sports history. Pit them against historical teams or other dream teams. Run your own baseball franchise in this in-depth, multi-player baseball game. Compete in a full season with your dream team from NHL past and present. 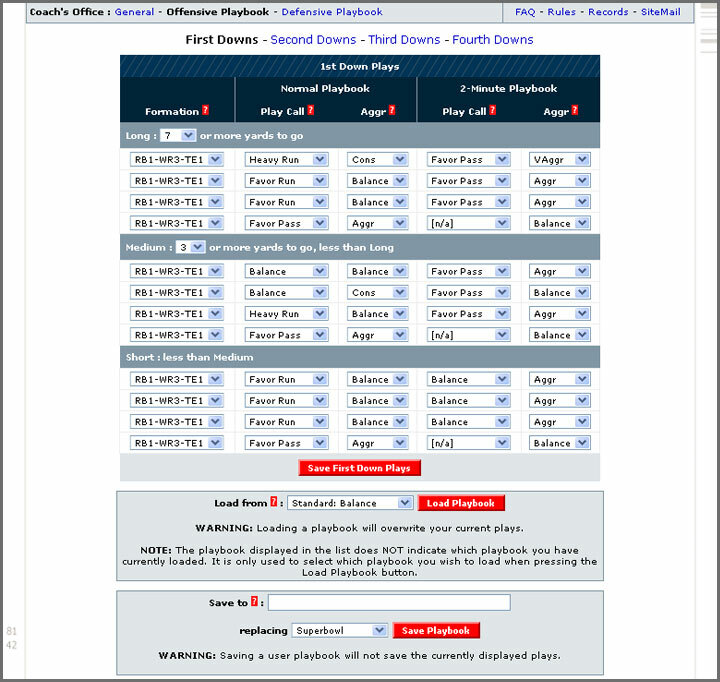 Line & pair	management, goalie options, prizes, and more. Coach, build and develop your own soccer club.